Did you know that cucumbers are 95% water, are a kidney cleanser, and are great for staying hydrated? If you’re interested in learning more cucumber health benefits, listen to reggae artist, Macka B, rap about about them in this video. Last week, we harvested another 14 pounds of cucumbers! And now, thanks to Farmer Sarah, we’ve got a new, simple recipe to use at the garden. For as long as we can harvest cucumbers, there will be apple cider vinegar + kosher salt to put on them. Stop by the garden some time to try it for yourself. If you’ve got other recipes we can use for garden produce, let us know! This Sunday, the garden will host a gathering of volunteers and gardeners for a summer potluck. This will start during the second hour of our regular Sunday work day (5pm). Attendees are encouraged to bring a dish, or a recipe that can be made from produce in the garden. This will be an opportunity for gardeners and volunteers to meet each other, share garden tips, tour garden plots, and celebrate our special space under the sun. DPR has requested that we tinker our system a little to align with their suggested best practices. The requested change won’t be too different from how our system operates now, and will ensure that the bin stays critter-proof, smell-proof, and can be maintained sustainably. Each DPR compost bin is organized as a volunteer cooperative with co-managers and members. In order to use the bin, compost contributors will have to attend a training, and are requested to help process the food scraps on occasion as well. The DPR garden specialist will conduct the first training, then the co-managers will do future trainings. Each site can have multiple co-managers, and Farmer Coy has volunteered to be one for our garden. If you’re interested in being a co-manager, or you already use the system, please fill out this form. 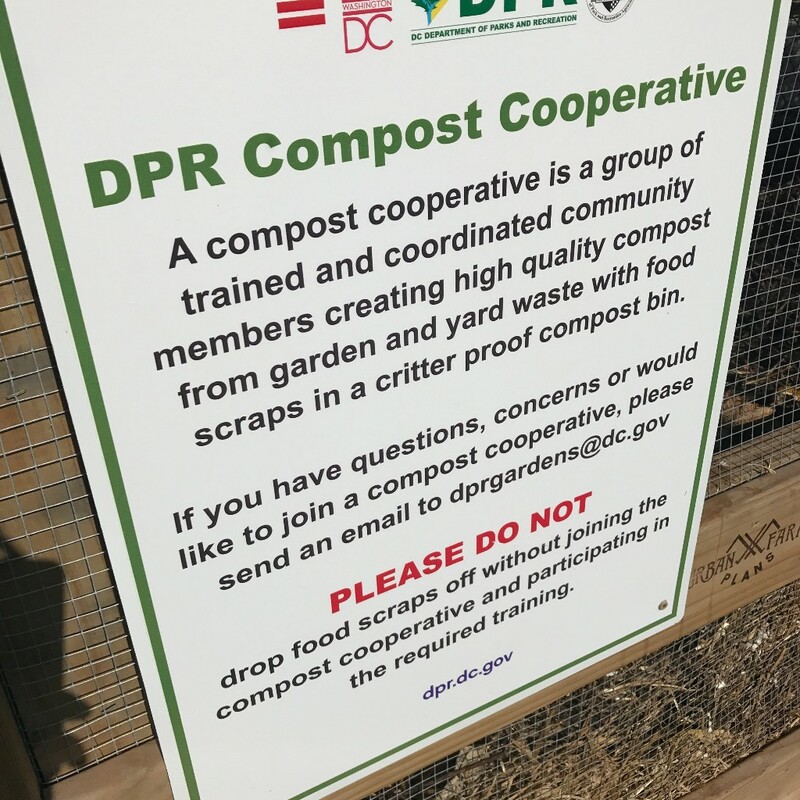 For more general information about the compost cooperative program, you can check out the DPR website here.